Want the power to ride in cold conditions? Gore Power Windstopper Soft Shell Gloves are a good place to start. 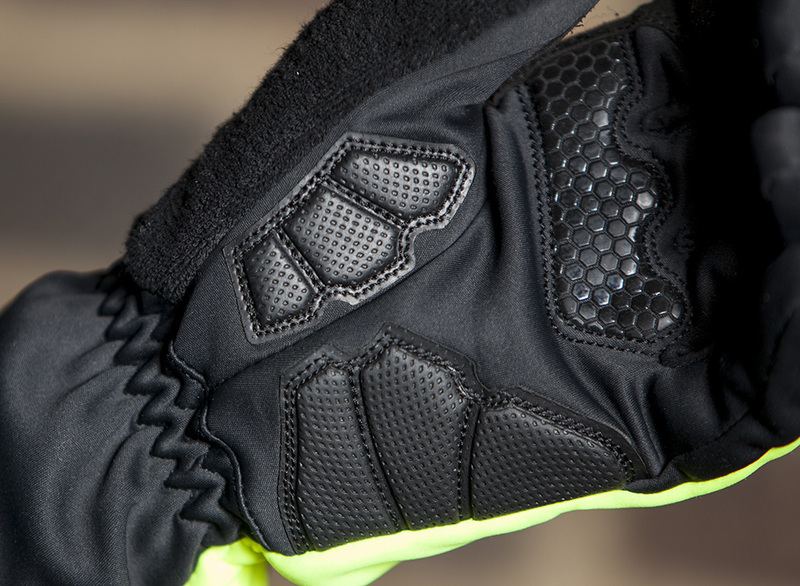 To include Gore-tex Windstopper on Gore’s Power Windstopper Soft Shell Gloves is a no-brainer. The fabric is excellent at cutting out wind chill, so the benefits of using it on a pair of gloves are obvious. The good news is that because the windproof material is very good, the gloves don’t need to be overly thick to keep hands warm. It means dexterity is unencumbered during use, so gear shifting or pocket fiddling come relatively easily. Shifting could be slightly smoother though; there’s no grippy material on the fingers to help gain purchase on the levers. The gloves are very comfortable on the palm and the fit was true to form. These gloves fit exceptionally well in all but the thumb department, which came up slightly short for me. Fit is a difficult one with gloves at the best of times (for me anyway), and it’s always best to try before you buy. At first glance, the Power gloves look fairly simple. There’s no velcro wrist strap, no buttons, zips, and not too many logos. The simplicity is the key to the gloves success though. The long cuffs exclude all draughts, and make the idea of an adjustable wrist completely redundant. On the palm, a small portion of grip is enough to help retain hold of the bars, and the minimal padding does the job too. A very generous ‘absorbent material’ (as Gore calls it) covers the rear of both thumbs and is perfect for general face or glasses wiping. I assume there isn’t any Windstopper material here though, which may be the chink in the Power gloves armour. On wet days the absorbent material became a target for wind chill to penetrate the gloves and ultimately lead to cold thumbs. These aren’t advertised as waterproof gloves though, as the Windstopper material is only water-resistant, so we won’t be too harsh on Gore for this criticism. Over our test period we experienced anything from 5 to 12 degrees, and at the top end of that range the gloves became slightly clammy. 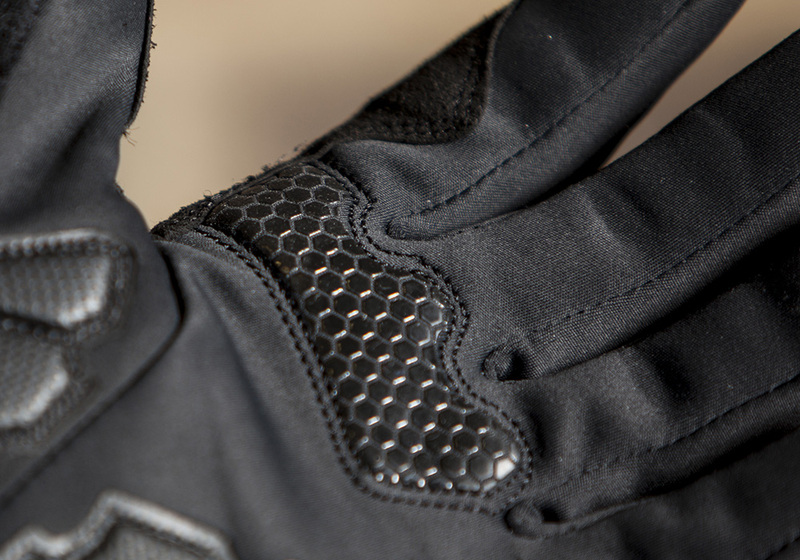 But the important bit is that at the colder temperatures, the Gore Power Windstopper Soft Shell Gloves were a comfortable treat for the hands, and got us through many hours of winter riding without complaint. For more information, check out Gore’s Website. Other than a lack of finger grip, the Gore Power Windstopper Soft Shell Gloves are excellent. 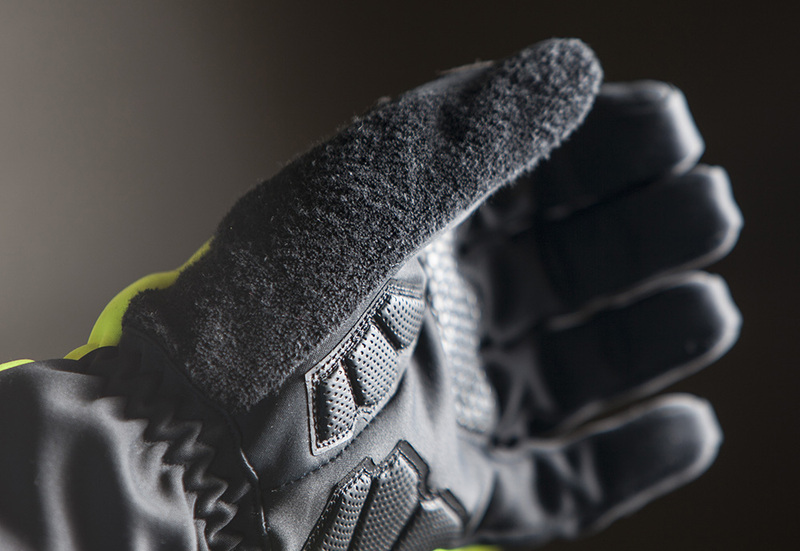 A a high quality windproof glove, with great dexterity and visibility. You'll do well to find a pair of all-round winter gloves better than these..